Earlier on in the year I took a flight on Thai's 747 in First Class from Bangkok to Sydney. This is not going to be a full review but a quick run down of the Royal First experience. 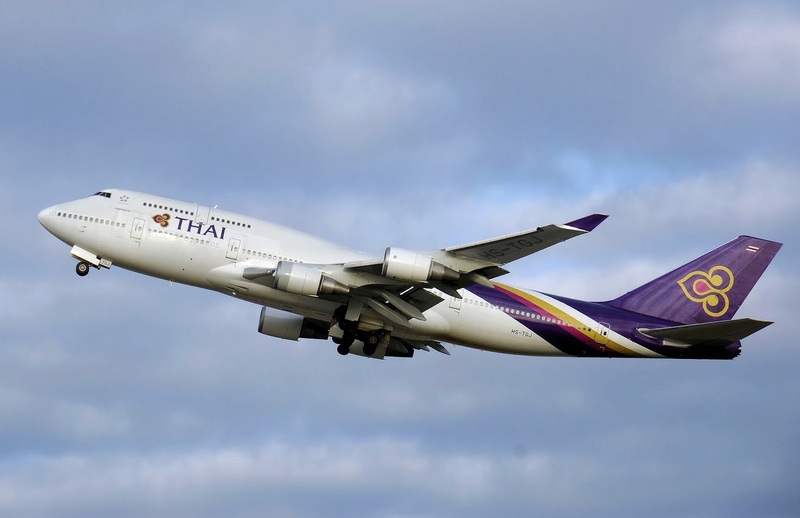 The flight was operated on an aircraft configured with 10 First Class seats which is typical for the Sydney run and half of the Thai 747 fleet is configured this way. The other half are now in a 'suites' configuration but mostly those aircraft fly to Europe and Japan. The service really began as soon as I stepped off the previous flight from Hong Kong. Met by the ground crew carrying a board with my name on it I was whisked away by buggy straight off to the First Class lounge. Upon arrival I was greeted and asked if I wanted a spa treatment. Of course I did so a time was quickly organised for a 60 minute full body aromatherapy oil massage﻿. While waiting we sipped on Moet champagne and had a small snack. After the massage it was back to the lounge to wait for the flight to Sydney. At the appropriate time a Thai customer service person came and collected my partner and I and walked us to the nearby gate personally. There was no buggy as it was not a long walk. Once on board in 2A and 3A the service commenced with pre departure Dom Perignon (2003). Pyjamas, amenity kits (at this time they were by Tumi), and menus were distributed. Orders were taken before departure for the meal service. The flight attendant serving us was very chatty and friendly and I knew she loved her job and she was really good at it. Some Thai crew in First don't show much warmth but this lady sure did. The meal was huge and very filling but the taste was not the best. Presentation was, I think, average. When compared to carriers like Singapore and Cathay it is rather substandard. Still, the Thai prices do reflect this as they are a lot lower in comparison. The meal was also rather rushed with each course being immediately replaced with the next and no breathing space in between. At least the Dom Perignon was free flowing and plentiful. The seat does form into a nice long fully flat bed which is very comfortable but you have next to no privacy in this seating configuration. I did get a very nice sleep though and woke up the next morning fresh and ready for breakfast. The breakfast was pretty tasteless and dry with the eggs being hard and I do prefer a nice runny poached egg. It was a disappointing breakfast really and perhaps I should have chosen the asian option. If you compare this to the amazing breakfast I was served on the A380 suite on Singapore Airlines a couple of weeks earlier, it does look rather average. Overall it was a decent flight and very comfortable and the service was warm and friendly albeit rushed. I personally find the catering out of Bangkok to be a much lower standard than that in the other direction (ex-Sydney). I wish they would spend a little less on caviar and a bit more on making the main meals more flavoursome and more visually impressive. Still, First Class is First Class and it's always a pleasure to sit in the nose of a 747! No idea of the wine…starting with flat champagne, they must have been hastily put together is what we thought. I thought I better add that to above post. Nice Little round up of the service onboard the 747, its not often i get to fly first class so i always like to see how the service is compared to economy. We offer one day specialised Massage Workshops in a variety of modalities.